People often ask us: what’s the most important reason to start their own drop shipping business? There are lots of obvious answers to this question. Opportunity to earn from something you’re passionate about. But there is actually much more than this, you know? In a way, drop shipping business is a starting point to a larger and bolder venture. Think about it if you ever dreamt of building a gigantic e-commerce empire. To illustrate our point, we will tell you this exciting story. You’ve probably heard of Zappos. It is a huge USA-based online store specializing on selling various types of shoes, bags, and clothes. It is well-known all over the globe thanks to its incredible customer service (and we will cover this part later). According to D&B Hoovers data, Zappos currently stocks about 3 million pairs of shoes, handbags, and apparel and accessories of more than 1,000 brands that you can’t easily find in a regular offline store. The company also has around 7,000 affiliate partners, and easily makes over $1 billion in gross sales per year. The financial success of the company never went unnoticed – in 2009, Amazon purchased Zappos for more than $1.2 billion. In other words, there is no surprise that Zappos proudly hold the title of #1 seller of shoes online. And what’s really important, all this became possible thanks to the drop shipping business model. Tony Hsieh, Zappos CEO, remembers getting involved in this business back in 1999, when the company (with a different old-fashioned name) had almost no sales and was basically fighting for life. At that point of time, he decided to base the company’s activity on the drop shipping model. Operating as middlemen, the workers started collecting orders from customers and transferring them to suppliers or other sellers. Everyone got kind of happy with it because such a model meant no need to manufacture products, or to manage stocks, or to be responsible for shipments and delivery. And actually, in those conditions it was the only possible model of running this business. Due to the lack of sales, the company had almost no circulating capital and couldn’t afford buying products in bulk and storing them. Therefore, the drop shipping model allowed the company to minimize storage and delivery costs, and to invest the hard earned money into client support. Still, everything changes in due time. The right approach to the business promotion resulted in the higher turnover, and this boost of profit helped the company get their own storage facilities and purchase products from suppliers in advance. By 2003, only 25% of the company’s revenue was originating from drop shipping activity. It was time for Tony Hsieh to transform this business into something larger than a humble drop shipping store. To stand out from the competition and create a totally unique brand image, the company board has made a decision to walk away from the familiar business model and take the full responsibility for this venture. This decision has led Zappos to the incredible current state – it’s safe to say that the company has one of the most impressive success stories in the whole history of e-commerce business. Quite obviously, none of this could have ever happened if it wasn’t for this right starting point. The drop shipping model allowed the Zappos team to start developing this business with minimal entry costs, and save enough money to launch a full-scale e-commerce venture. It also helped the team get the necessary experience and understand what exactly works well for this business. Aren’t you thrilled with such an opportunity to start a potentially booming business with the minimal effort? 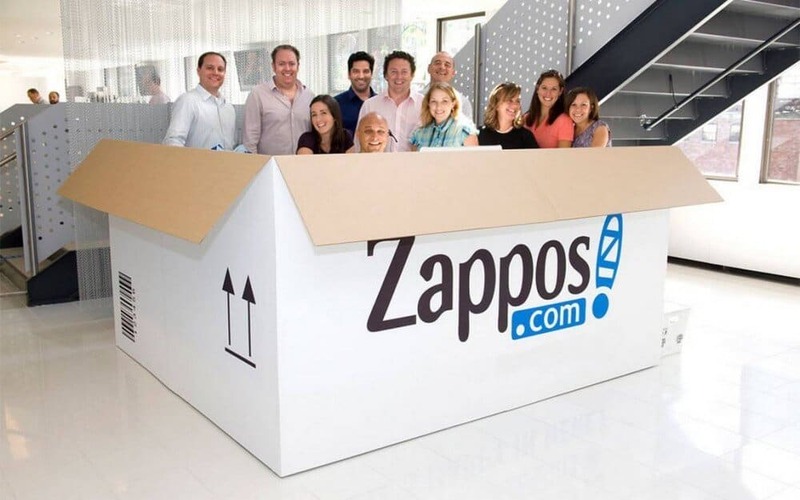 What else can we learn from Zappos success story? Such a tremendous success can surely teach us a number of valuable lessons. We looked at the company’s history to create this mini-set of rules for a successful e-commerce venture – it can both be applied to drop shipping business and to any other kind of online trade enterprise. It sounds a bit obvious, we know. But still, even the company’s name, Zapatos, was created with customer’s convenience in mind. 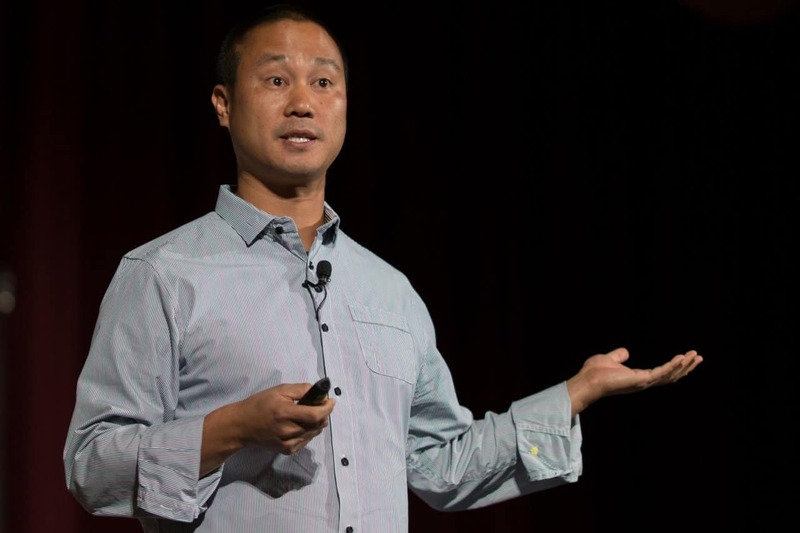 It was Tony Hsieh’s idea to put a double ‘p’ in the name – he rightfully thought that it will help people pronounce this word correctly and easily. It was a really wise move because the name ‘Zappos’ originates from a Spanish word, and for a huge part of Zappos target audience, Spanish is a foreign language. In drop shipping, this issue is even more relevant. If you’re operating on a global scale, you need to always remember that not all the people speak your own language. Nevertheless, it should be easy for them to memorize your store name and type it in. And of course, you need to make sure your store visitors can easily navigate your site and understand what is going on! Obviously, it hurts to know your buyer is unhappy with the purchase. (To be honest, it hurts both your heart and your wallet). Still, it’s not the end of the world – you can deal with it and keep going. Zappos doesn’t treat returns as something extraordinary. Shoes are quite a tricky product category, which is why everyone understands it’s easy to get mistaken. To solve this issue, Zappos offers an opportunity to get a full refund. What’s more, the company pays the shipping costs if you return an item. You can do it within 365 days from the day of the purchase, and if you’ve bought something on February 29th of a leap year, then you have full 4 years until the next February 29th to return this order and get a refund. As an owner of a drop shipping store, you are free to set any return & refund policy you like. As AliExpress sellers say, they clearly understand the difficulties that dropshippers are going through. This is why you can always get in touch with them to explain the situation with a damaged or faulty item, and ask for a partial refund at least. And, to protect yourself from any kind of an unpleasant situation, be sure to always have some money kept on your bank account – don’t spend all your store profits immediately! Never underestimate the power of word of mouth! The quality of your communication with customers makes a huge impact on your business. If you are involved in drop shipping, there’s an elegant solution – just use as many automated services as possible, and save enough time to talk to your clients. Believe us, it will be totally worth it. So, are you ready to start your own venture and make it grow to unbelievable heights? Do you want people to remember and get inspiration from your success story tens of years from now? It’s the time to make your very first step to a multi-million online business!